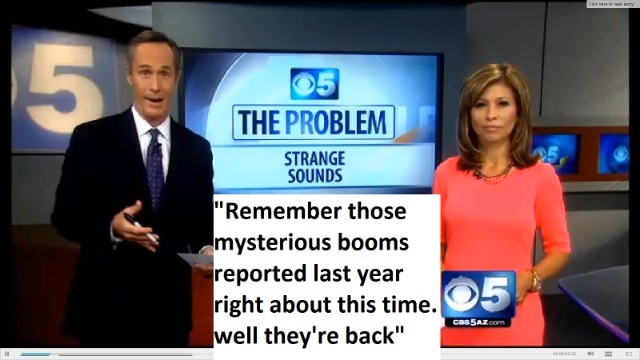 End of November 2013, residents in 11 states reported strange sounds and loud booms within a week period. 5 states on the same day most of which occurred in the morning. C’mon! 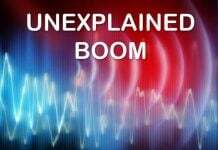 How can you explain all these BOOMS AND RUMBLINGS occurring on a Tuesday morning? A similar situation as we are now experiencing occurred in the period between November and December 2013. 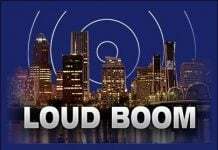 Loud booms started picking up again, AND IN THE SAME AREA AS IN 2015! These Booms aren’t random. THEY ARE GEOLOGICAL! And the evidence is increasing by the day now it seems. Highlighted in black are quotes from within the source/link. And look at the video below! Azle residents are getting nervous and seismologists are trying to get to the bottom of what’s going on. Real loud boom, and then it just started shaking the ground under our mobile home,” she said. “Just rocking it. And our dogs, they go totally insane. shook homes..loud and reverberating noise.. knocked items off of walls. was caused by test planes… Yeah cause planes can cause shaking to the point of items falling off walls in peoples homes. big boom.. windows and patio doors rattled. “I was just sitting here at my computer and my glass was just bouncing,” Alexander said. His wife, Kelli Alexander, called him to report that she felt the boom where she was staying in Lindsay. Officials say likely a sonic boom. *BUT* Residents were concerned there may have been an earthquake because of the many small quakes that have been reported nearby this week. FRACKQUAKES! Loud Boom.. shook their houses. Calls came in from call across Madisonville and even toward North Zulch Officials are pretty sure it originated from individual target shooting tannerite. People here heard two loud booms. Then the picture frames started falling. People in Oklahoma are not used to earthquakes, or at least they didn’t use to be. This is tornado country. Earthquakes are for Californians. “It’s something unreal,” said Herschel “Bub” Peery, a county commissioner here. FRACKING! Those “booms” in southeastern Connecticut on Friday were, in fact, earthquakes, scientists say. 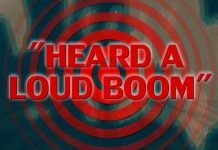 Police in several southeastern Connecticut towns were flooded with calls from people who heard “booms” and thought there had been an explosion. Some people said their houses shook. Stonington police said they had reports of at least four “booms” being heard, but the Weston Observatory only recorded two earthquakes on Friday. At about 6 a.m., the fire department started getting calls about loud booms and the ground shaking official reason “faulty heating system” at a car wash” A police officer who was about 100 yards from the car wash said he felt the tremors. …But they did have a small (earthquake) north of Boston,” Crowley said. The observatory said the quake was so minor that it couldn’t have been felt. Loud booms and shaking: 12/2 Wellsville, Pennsylvania. hearing and feeling booms that rattle their windows and shake their walls. ‘Seneca Guns’ strike again? “booms” in the areas of Tifton, Sycamore, Enigma, Brookfield, and near the Tift-Turner-Worth County line. Sheriff says he believes caused by binary exploding firearm targets. pretty darn loud BOOM… “rumbled houses for five seconds.” Firefighter, meanwhile, reported that it also activated car alarms. Heard in Denison Tx Dec 5th. Several Loud booms approx 5 or 10 min apart! About 8 at night. Heard outside and inside house. Sounded like those large mortar fireworks that shake the ground. have heard before during the day and at night.